STUNNING! Enter through the custom crafted Italian glass gates to appreciate this Contemporary and extensively updated Cypress Point model. Best location in The Springs and with all the finest finishes and design features. Mountain/Golf views from every room in the house. 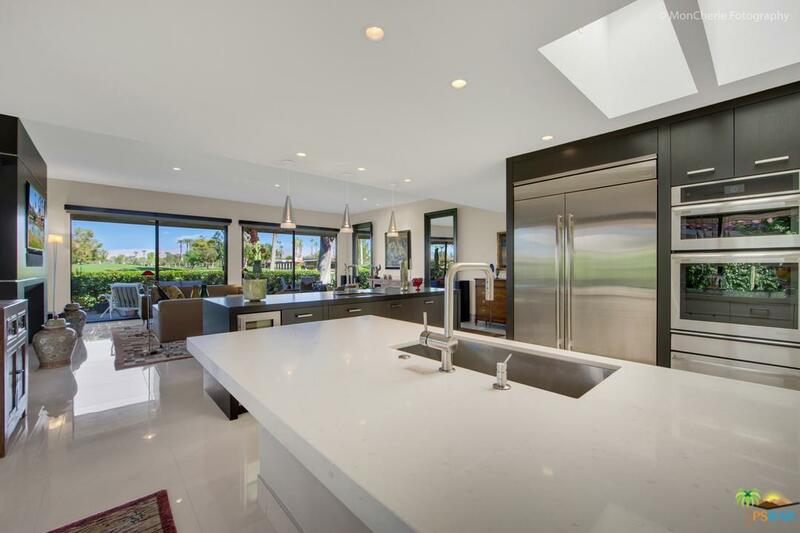 An entertainer's dream offers chef's kitchen including new Jenn-Air appliances and caesarstone countertops with waterfall granite wine bar island. Retreat to the Master Suite with spa bath including jetted tub....and 2nd Master en-Suite for your guests. 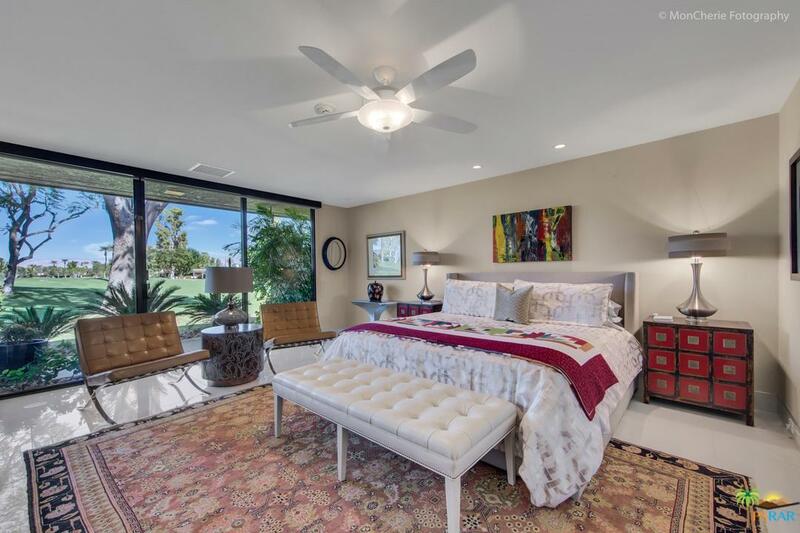 3rd multi-use bedroom/office with high end Murphy bed and adjacent showpiece bath. 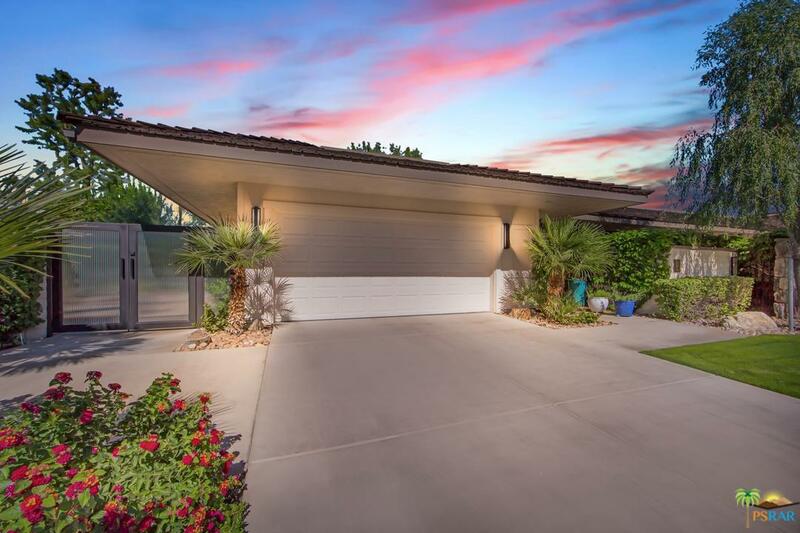 Indoor/outdoor living on golf course or enjoy private side yard with amazing mountain view. Golf garage, laundry room and new HVAC system. So many AMENITIES at The Springs Country Club with fitness center, tennis, pools,etc and HOA includes exterior/roof maintenance, insurance, security, etc. 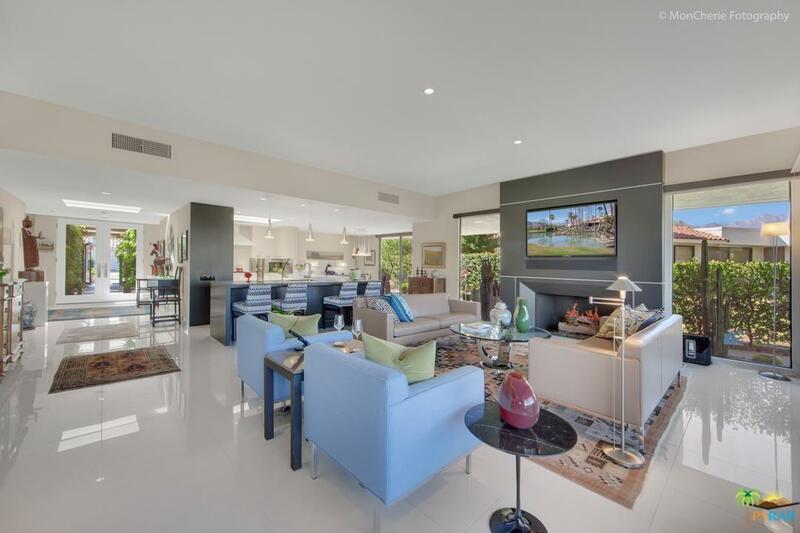 Too many special features and benefits to mention; you just MUST SEE THIS VERY SPECIAL HOME! Sold by Encore Premier Group BRE#00684821 of Bennion Deville Homes The Spri. Listing provided courtesy of Mary Marx DRE#00684821 of Berkshire Hathaway Homeservice.